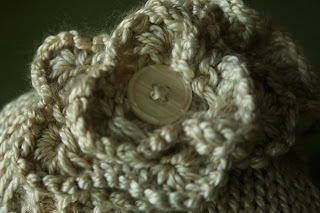 .....to make a classy little scarf. 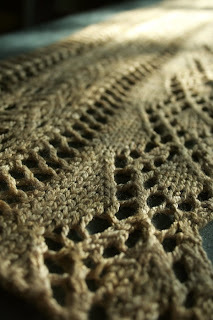 This is the Juliet Scarf from Louisa Harding's book Knitting Little Luxuries. 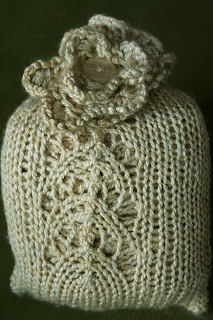 Originally for a light and fluffy yarn (angora blend), this one was knit with 2 strands of different yarns together for some added weight and density. 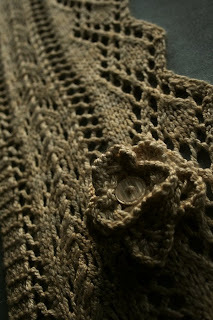 I used Hand Maiden's Cashemere and Silk and Great Big Sea, both in the Ivory colorway. posted by Venus @ 11:31 a.m.